Tons of works has been done by the organizing team of the Malaysia MiniGP Members Championship 2015 and it is now coming to the closing stage of the inaugural season. The series had witnessed the birth of a few very talented riders and at the same time, helps cultivate a proper motorsports culture to the local riders; that has been loyal to the series as competitors. The final showdown of the MiniGP Members Championship will be held from 12th to 13th of December 2015 in Putrajaya. Multiple champions and milestone will be set here as the first season of the series draws its curtain for an off season break before heading back for a more exciting 2016 season. Reffy Kamar will be leading the chase for the first ever champion of the MiniGP open class category for the PB2R Racing Team. A consistent showing from the 39 year old rider from Selayang since the start of the season; proves that he is still the man to beat. Many of the young riders in the series are looking to compete with him and at the same time learn the traits as a motorcycle racer. Reffy is currenty leading the championship standing with 104 points and looks to be the champion of the series open category even if he fails to finish both races this coming Sunday. But the man had made a vow to give his best performance this weekend as multiple talented riders has been confirmed in making a wildcard entry such as Hafiq Azmi; a former moto3 rider and Helmi Azman; former Asia Talent Cup rider. Another rider that deserves the same attention will be Muhammad Zulhilmi Yazid, the championship leader for the standard category. The young lad will be comfortable in his approach to the final round of the championship as he is 40 points clears off the 2nd position man; Mohd Emy of the EMY Racing Team. Zulhilmi is still fresh off his race weekend in the Suzuki Asian Challenge which was held last weekend in Thailand, following the conclusion of the Asia Road Racing Championship. 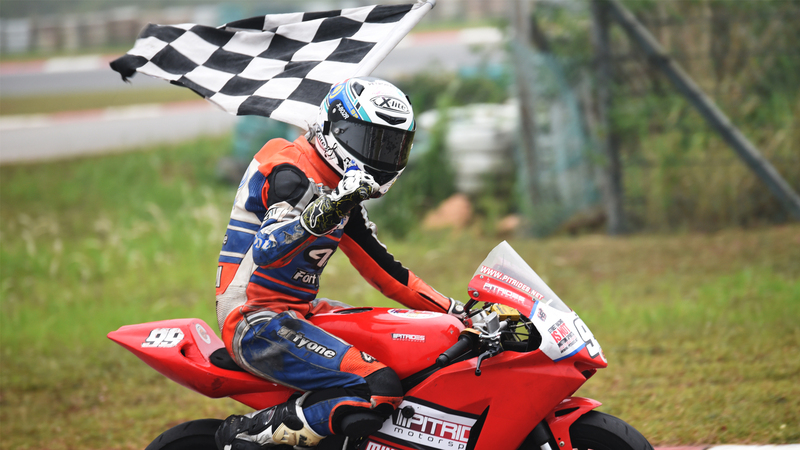 The 17 year old boy will now be looking to mark a great achievement on his resume as a professional rider, to become the first champion ever in the Malaysia MiniGP Championship Standard Category. PB2R Racing Team and one of it’s rider, Izam Ikmal are set to mark down an important milestone for the championship. PB2R will go down in the milestone book as the first team to have a champion in the open category and as the first team to have a rider that will be graduating the series into an international championship. 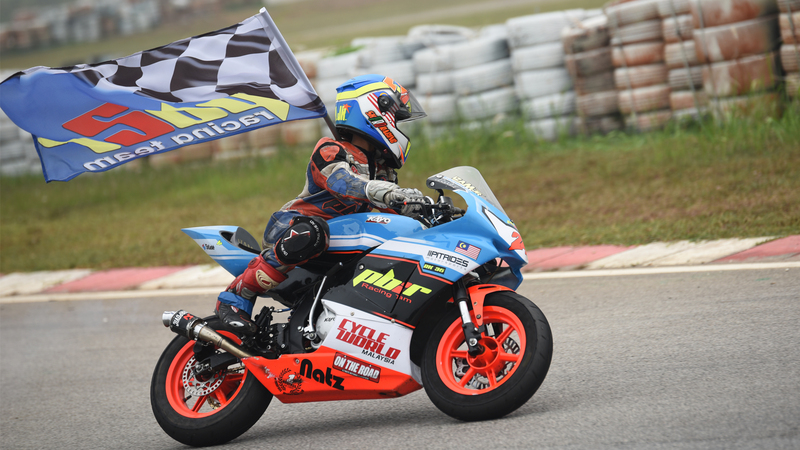 The 14 year old Izam Ikmal will be looking to graduate from the series as he moves up the ladder into the 2016 Asia Talent Cup championship, competing against some of the best motorcycle racer from the Asian region. These are all great and important milestone that the series had achieved in it’s first year being held. As the 2015 season come to a close, the series are looking to open up more possibilities for it’s competitors and supporters to make a return in the 2016 season. 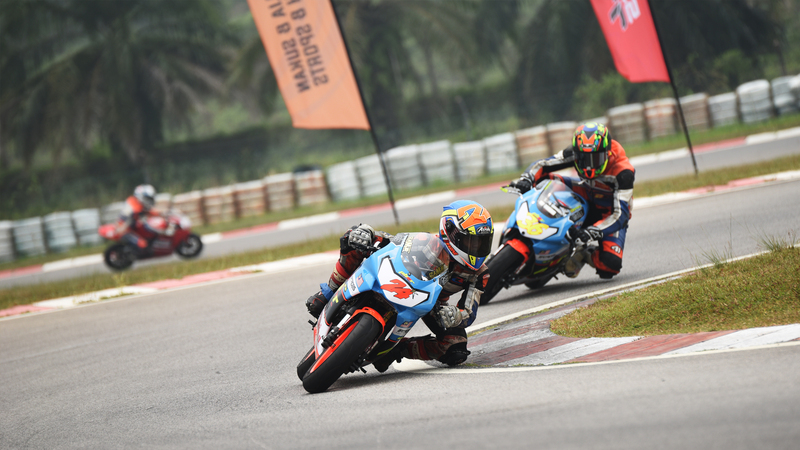 The Malaysia MiniGP Members Championship will take this opportunity to invite every single passionate motorsports and motorcycle enthusiast in Malaysia to witness the final round of the series this coming weekend. The event shall be a platform where everyone can engage with some of Malaysia’s talented riders of World Championship and take the chance of learning more about the series. For more info on the championship, feel free to visit http://pitrides.net and tune in to their YOUTUBE CONTENT partner channel for some of the season’s action.